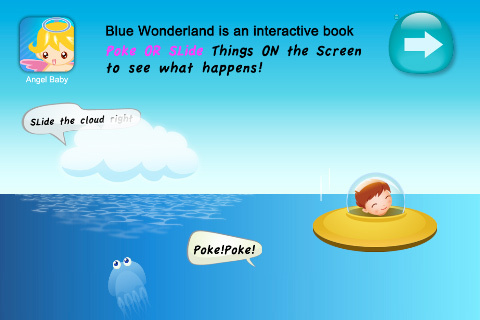 "Blue Wonderland" is an educational game for children. 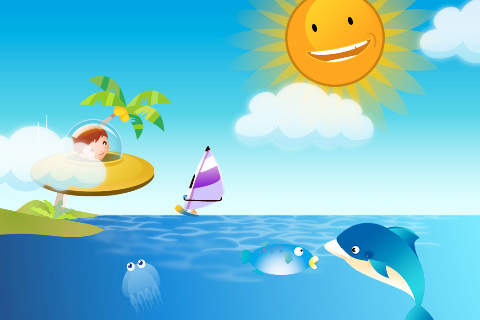 Its background music, adapted from a famous children's ballad, is specially designed for iphone. 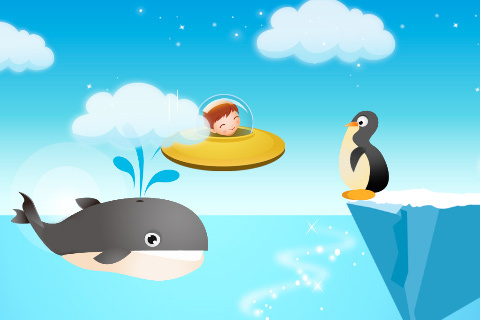 "Blue Wonderland"is also an interactive book that enables babies to feel personally on the scene and thus satisfies babies’ ocean exploring wish. Look! Shoals of fish are playing around in the ocean, with sea turtles, cute sea horses and transparent jelly fish nearby. 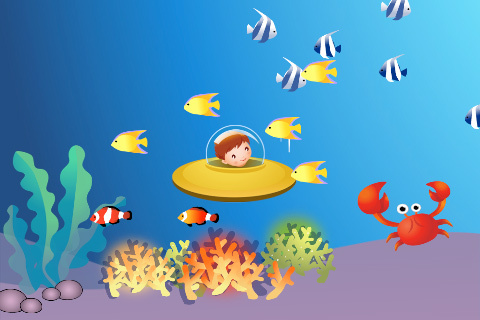 Nemo is “hiding” in coral, while crabs are waving their crackers and penguins are enjoying diving. Watch out! A shark is approaching. Everybody swims away! 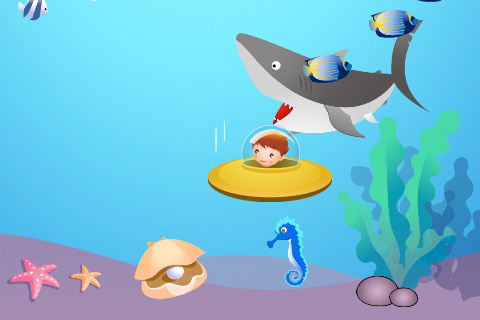 More secrets about the ocean are there for your baby to discover!